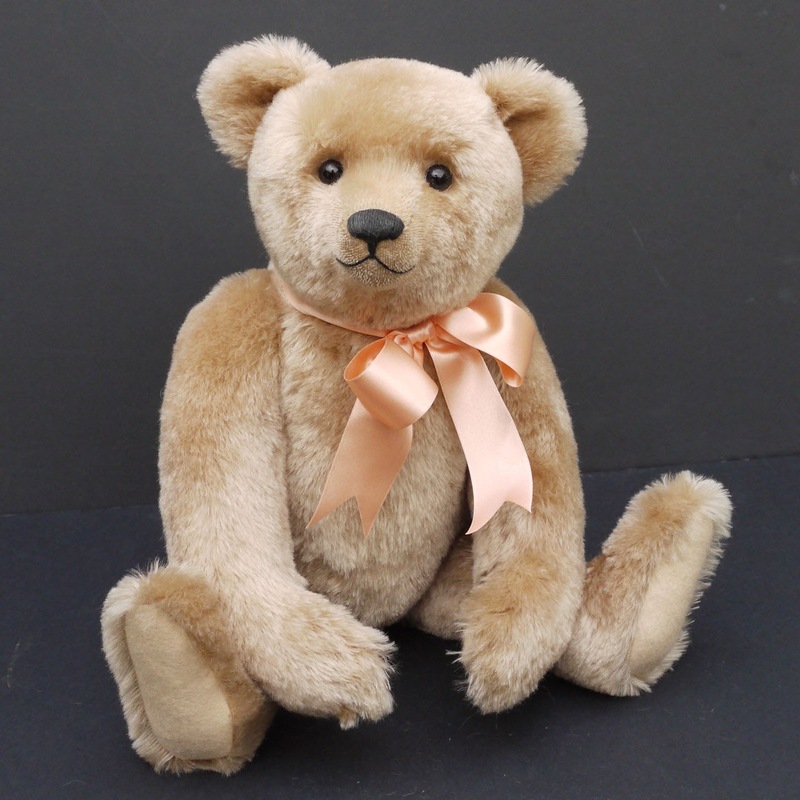 Over the years I have often been asked if I have kept any of the bears I make. 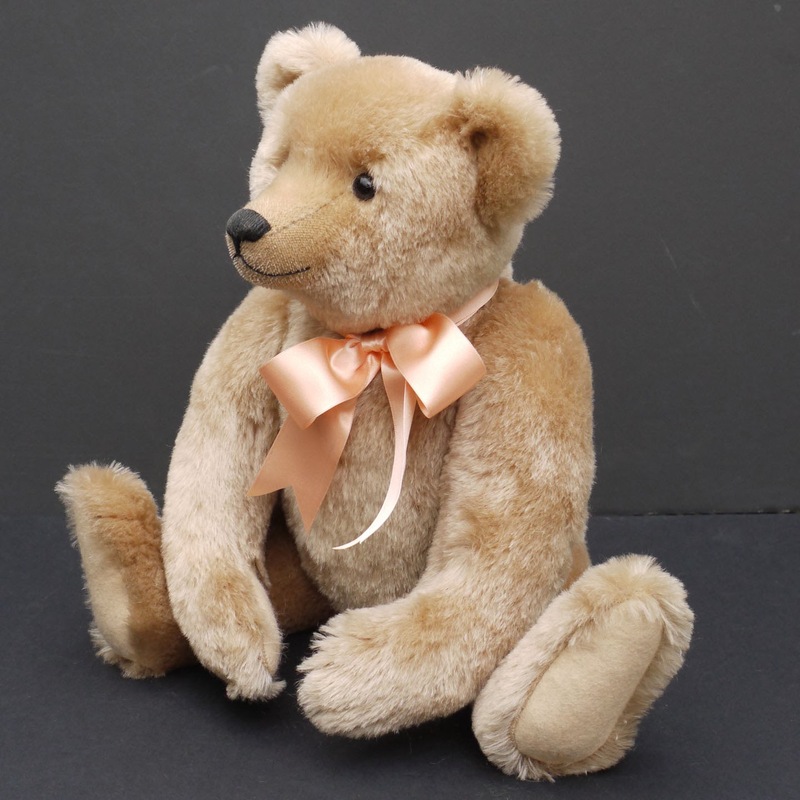 The answer is yes but very few, much as it is sometimes tempting to hold on to one which I feel is a little special, I make bears for my living and they have to go out into the world to support me. I have the very first bear I made and two or three other bears from the very first days, I had one other which was my mascot at bear shows but only one which I felt was a breakthrough when I had started to get the pattern to have the real look I wanted, I made a series of bears from this pattern but only one in a soft caramel dense straight English mohair. The others formed two edition of 6 bears each so the one caramel one remained at home and almost by chance therefore became my own. Benedict did have a little surgery on a number of occasions, he has ears sewn into the head seams so I have left them as they are even though they are not even but he has had quite a few noses, the latest was done about 5 years ago and I finally decided that it was about time he settled on his appearance. 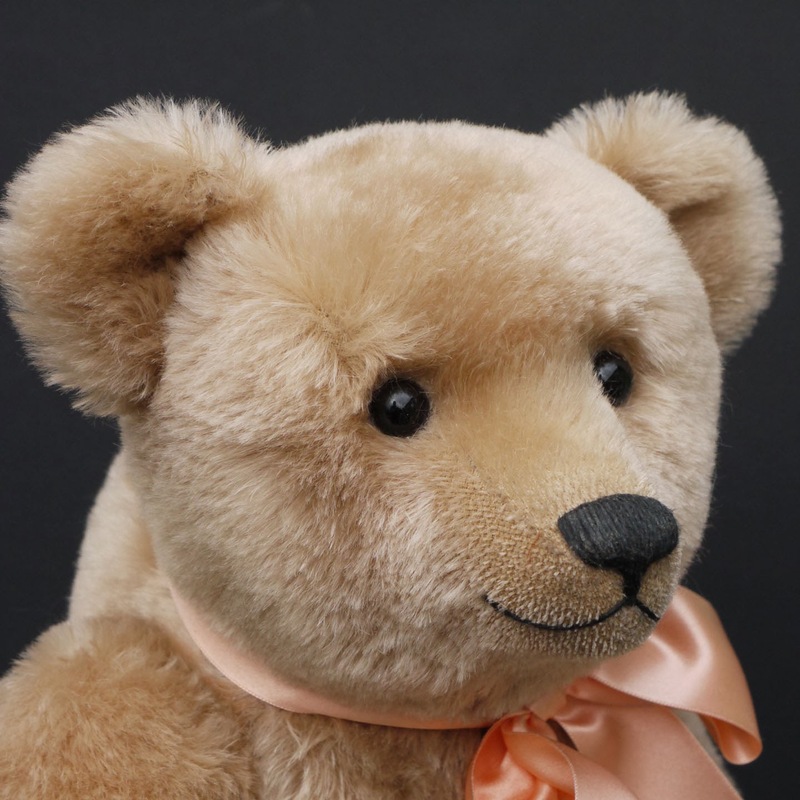 So he is essentially the same bear I made way back in 1992, my very first year, of course my traditional bear pattern has evolved over the years and the proportions and construction are different now but in many ways my perception of the ideal face and look for these bears is much the same. 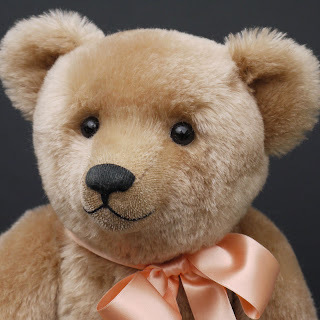 He had become a little dusty over the years so for his recent photographs I gently cleaned him but was careful to retain the natural patina of a bear now over 20 years old. Interestingly I find that with the distance of time I see only his charms having long forgotten the struggles of working out how to do things in those early days, yes of course I can see that I struggled to sew neat paw pads for instance and his are a little uneven. But now I no longer see him as a pattern to be improved, he has his own personality and those flaws ( or at least those things which I regarded as flaws when I made him ) no longer matter, he is just a Ted with his own presence. 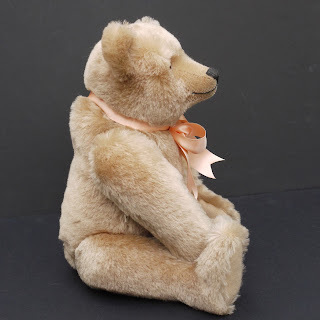 For personal reasons I have decided to find new homes for some of the few bears I kept for myself and Benedict has been in the Special Sale section of my website, happily I think he now has a new home.